Porcelain veneers may be used to cover stained or discoloured teeth, broken teeth, uneven teeth and large fillings. They may also be used to enhance your smile, by filling in gaps, straightening uneven teeth, and giving your teeth a whiter appearance. 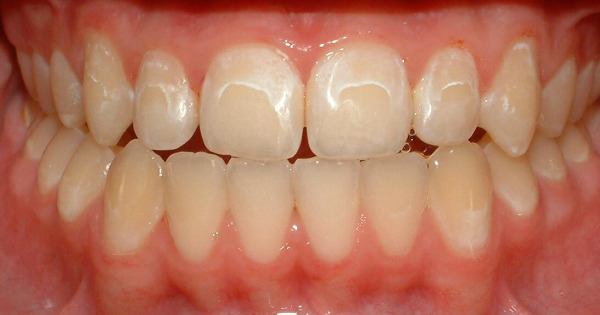 Veneers can sometimes be used as an alternative to orthodontics for treating mild crowding. Veneers are custom-made thin porcelain coverings that are bonded to the front and edges of the teeth. They are very thin, yet quite strong and durable and may last for up to ten years or more. Normal brushing and flossing will keep the veneers in excellent condition. Veneers may be damaged by biting something hard or nail biting, for example. At the first visit, your dentist removes and prepares part of the enamel on the tooth to make room for the veneer. An impression is made of the prepared tooth and sent to the dental laboratory where the veneer is custom made. A temporary veneer is then placed for in between visits. At the second visit, the dentist bonds the veneer with composite resin cement to attach the veneer to the tooth. The veneer is custom shaded to match the adjacent teeth. These are used satisfactorily for mainly external discolourations and very rarely involve the second layer of the tooth. These veneers are advantageous: not much tooth structure is removed, relatively low cost, on appointment is required. Some disadvantages are: they may stain and chip or debond over the years and need to be replaced. Even though they are easily repairable, care must be taken with everyday eating and chewing.